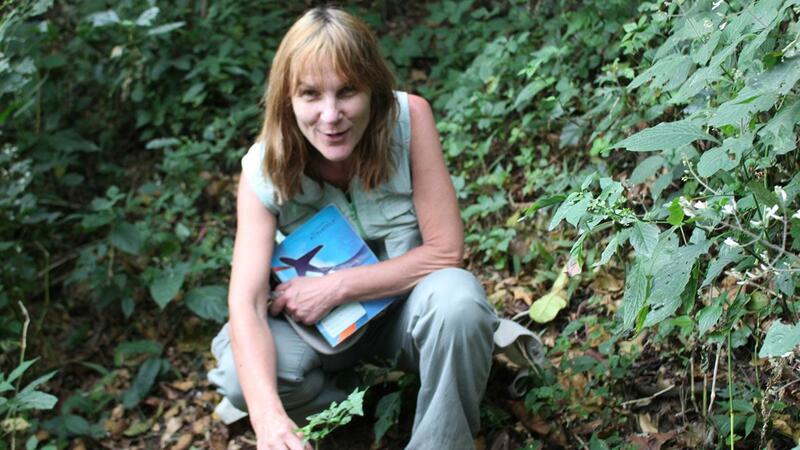 Hazel Chapman is an Associate Professor in evolutionary ecology at the University of Canterbury, NZ and the Founder and Director of the Nigerian Montane Forest Project, in Taraba State, Nigeria. Her broad research interest in Afromontane forest ecology reflects growing up in the mountains of Malawi and Nigeria, where her father was a forest botanist. Hazel is especially interested in research questions around plant-animals mutualisms and in forest restoration. Early in her academic career, Hazel worked on the genetics of weedy species and the ability of plants to evolve invasive characteristics after introduction. Montane forest research brought Hazel back to the areas of Nigeria her father had first surveyed on behalf of the Nigerian government in the 1970s. She was inspired to return and see how these forests fared nearly 30 years later. With funding from the World Wildlife Fund, Hazel worked with Kew Gardens to conduct initial taxonomic research in the Mambilla Plateau and published that new research alongside her father’s earlier findings in The Forests of Taraba and Adamawa States, Nigeria (2001). She has since focused her research on Nigeria and has developed the Nigerian Montane Forest Project with a focus on Afromontane forest ecology. Hazel received her PhD in Ecology from the University of Otago and her BSc (Hons) in Botany from St. Andrews University, Scotland. Part of the privilege and responsibility of working with the local community at Ngel Nyaki demands reciprocity and Hazel spends much of her time in writing grant applications for school buildings, infrastructure, and bee-keeping expertise.